How To Get Mold And Mildew Out Of Your Carpet So That You And Your Family Can Breathe Healthy Air And Avoid Stale Odors. Mold and mildew can form inside the fibers of your basement or other damp places that may have been spilled on, are near a leaking pipe, or that accumulate a lot of moisture from steam in your bathroom. 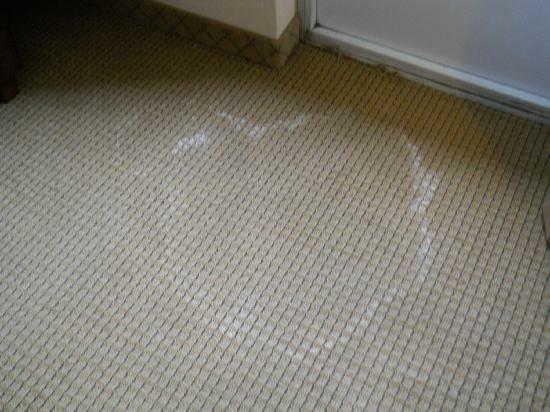 Mildew and mold are not only harmful for the cleanliness of your carpet, but also dangerous for your health. Mold and mildew is an issue can that can actually get worse over time if it is not handled properly sooner than later, and we here at San Tan Valley Carpet Cleaners know exactly how to remove mold and mildew out of your carpet, in addition to any dirt or odors. The deepest clean possible. Mold and mildew can really get deep into the fibers of your carpet if you do not call us to get it cleaned rather quickly. Either way, call us to get it removed so that it doesn't get any worse! Above and beyond. You will call us to remove the mold, and be thrilled when you see we will actually do much more than just that! Actually cleaning the carpet, and making it smell better than ever, we will do what it takes to makes you a happy customer. We are mavens at mold extraction. Having done this more than once or twice, we have techniques nailed down that will have your carpets clean, fresh and feeling as good as new.